The work of human resources is both valuable and complex. It is valuable and important because the staff and employees are what allow a company to do well. If the employees are motivated, have direction and are able to carry out their assigned tasks, this will help the company to become more efficient and capable. However, if employees are demotivated, if they feel like their work has no point and no direction, and if they struggle to accomplish what is asked of them, then the working environment will be problematic. This will also have its impact on the company's bottom line. So it is important to support HR with the resources they need, including the various human resources (HR) tool options out there. The reasoning here is that there have been many studies conducted regarding how to allow HR to accomplish its objectives more quickly and more effectively. Various tools and methodologies have been developed, and these tend to be studied both at the university level and in more specialized MBAs. HR is rightfully given importance given its central role in any firm. As far as tools go, one of the most basic and straightforward, and yet important tools is the employee directory. While this tool is fairly simple and rather low-tech, it can be surprising to find out how many companies out there do not have an easily accessible and regularly updated member directory. This is unfortunate because this list has many important uses. One of the most basic of these is the fact that this directory offers a big picture view of the population of a company. It allows decision makers to quickly identify how many total employees there are, and how many there are in particular departments and sub-entities. A good directory will also allow supervisors to quickly determine how many specialists are in the company, such as engineers, lawyers, welders, and so on. The information provided by an employee directory is useful because it allows the company leaders to better gauge whether the company is lacking in terms of a particular skill set, or if they need to have more people in a particular geographic location, or whether the current staffing levels need to be expanded or trimmed. This is why it is very important to have this kind of list and to make sure that it is updated with the relevant information. It has to be available when it is needed, and it is certainly something that will be referred to often. 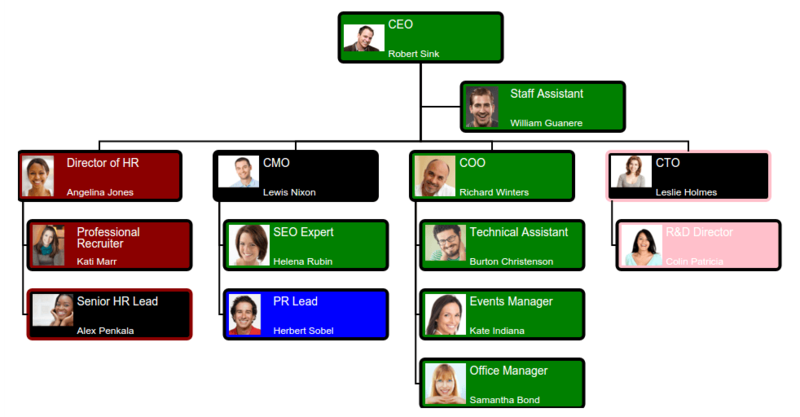 These directories should also be complemented by a tool such as a dynamic org chart. Such an org chart offers a more visual representation of the current structure of the company, and this visual can sometimes make it easier to quickly and intuitively gauge whether there is a problem or deficiency somewhere.